New York and “we” may “all get dressed for Bill”, as famously noted by the royal We of fashion, Ms. Wintour. 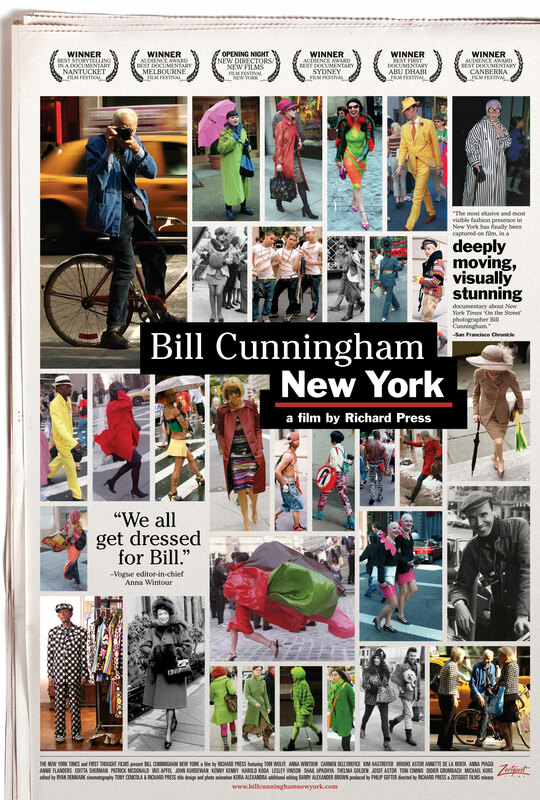 However, in Bill Cunningham: New York, a documentary film of the original street style photographer by Richard Press, we get a glimpse of the man underneath the clothes. There has been much buzz on Twitter from the featured fashion capital, where the doc was screened weeks ago to the sartorial set. When a film, especially a fashion documentary, gets that much buzz, I usually go in with mixed feelings. I have, of course, been a longtime admirer of Cunningham’s work – but was always more intrigued by the characters he photographed and never really stopped to think about his own character. Not once. A fashion moment, stopped. 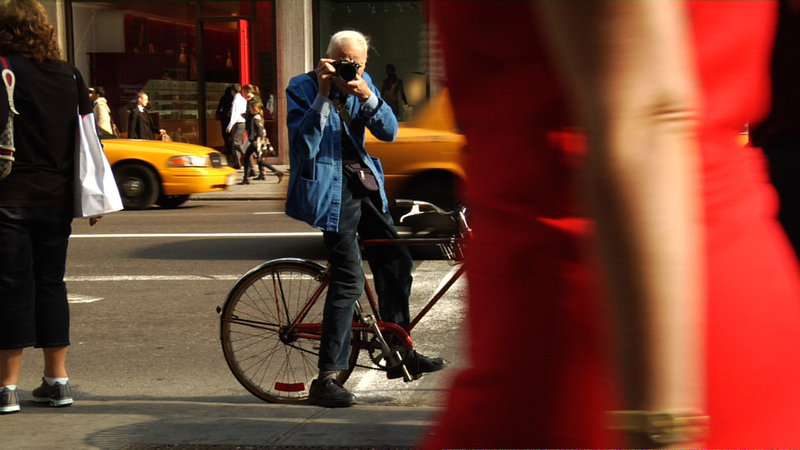 A still from Bill Cunningham: New York. His images have captivated me and countless others. His eye is unrivalled. Through his photographs over the years, we have learned the language of fashion and on many an occasion, he has inserted new words into our visual dictionaries. He has, in certain circumstances, even taught us to see. For some reason, I didn’t give the person behind the creative contribution the same sort of contemplation I have given to say, Kahlo or Kandinsky – or Steichen or Sundsbø. And frankly, I’m not sure why. 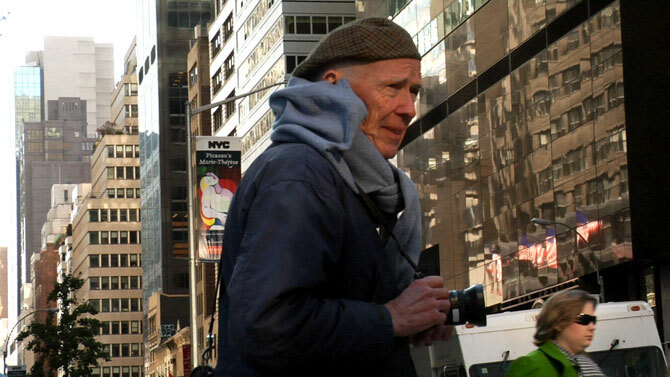 Bill Cunningham’s work is such a fixture, that perhaps I took him for granted. 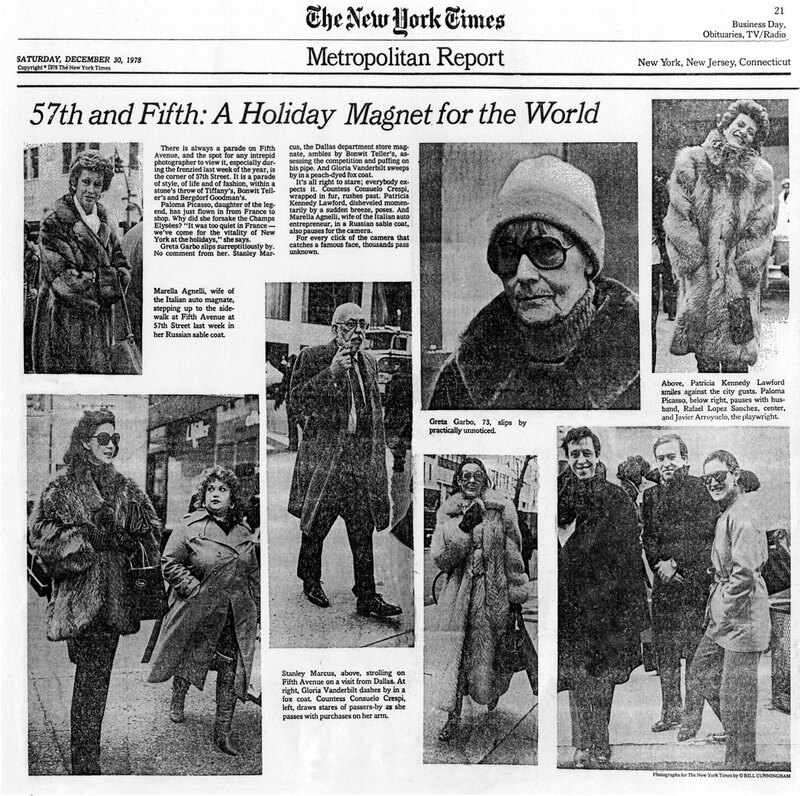 Cunningham’s first spread in The New York Times, December, 1978. The mark of a good film, I think, is almost forgetting that you are in the theatre. And that happened to me a few minutes in. I followed the camera and filmmaker that followed Bill going on about the business of photographing the stylish, the noteworthy for The New York Times and I, too, took notes. Visual notes. I started to see what Bill sees. And then I got lost – in the characters, in the photographic fashion history lesson, in the Details. I revisited photos I had forgotten, recognized random members of the fashion family. I sighed at the beauty and the memory of obscure references as a girl who has loved fashion with her whole heart from a very young age is wont to do. I listened to wonderful stories from Annette de la Renta and Harold Koda and Iris Apfel and Ms. Wintour, and I started to see Bill. It was like seeing a famous painting for the first time – you had read about it from a distance before, but now there it was, before you, with visible brushstrokes and flaws and perfections. There it was, exposed. You suddenly could imagine the layers – the canvas, the gesso, the colours, the palette knives and brushes resurfacing that canvas, the patina that years had added on. You suddenly could feel the joy, the pain it took for that work to stand before you, for that artist to stand before you like that – undressed. The artist in his studio – New York City. And as he often has done, Bill Cunningham taught me another way of seeing. Again. Richard Press, I thank you, too – for the view from your eyes. The doc is distributed in Canada by Films We Like, who were kind enough to let me preview it prior to the public opening. It’s in theatres now. Images courtesy of Zeitgeist Films.